Ever since the dawn of video gaming and slots, outer space has remained probably the most popularly exploited theme and the one to equally excite us with every new interpretation. We can never seem to have enough of the mysteries of universe and the adventures that await us in the galaxies far far away – add some money into the mix, and you got yourself a winner. And what is it that thrills us on so many levels when there is an outer-space adventure slot close at hand? Be it the 12 year old astronaut hidden deep inside and incapacitated by adult responsibilities and office duties (still lurking for every possible excuse to come out and play) or a mere reminder of simpler times and carefree hours spent in the arcade (old geezers out there probably still remember the original Space Invaders), the fact remains that spaced themed slots will never go out of style. If you are a closeted nerd, you are likely to not only be familiar with most of the games described below, but also have a list of your own (possibly more detailed and elaborated). However, for the sake of comparison, these are our top picks of the most memorable, frequently played and personal favourite space slots. A rather obvious choice, due to the trip down the memory lane quality and the authentic visual replica of the original. Space Invaders is a mobile compatible 5 reels and 10 paylines release by Playtech with a wide betting range of $0.10 to $100. 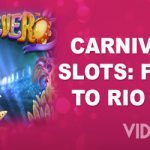 The slot comes with the iconic symbols featured in the 1978 version and introduces Turn Wild bonus that blows up all lower value symbols, turning them into Wilds and potentially doubling your payouts on winning combinations. Another interesting addition is the UFO Wild that awards a free spin and extra Wild symbols after being destroyed. Space Invaders are estimated to be a medium volatility game, with the winning potential of 150x your stake, but ultimately giving you so much more in terms of fun and reliving priceless childhood moments or, if you belong to a younger generation, by taking you on a unique journey through time. Another immensely popular name from the past, Star Trek slot by IGT is however based on the most recent movie interpretation which, truth be told, did not disgrace the franchise. Although the true Trekkies are defined by their favouritism of the 60s TV series, testing this slot will not leave you disappointed, namely because of the abundance of bonus rounds it offers. Released by Microgaming, Star Dust is a 5 reels and 40 paylines mixture of space and gems theme with 1024 win ways during the free games. As you collect gems in this outer space adventure, your Star Dust Meter displays your progress, awarding you with up to 13 extra spins. This mode can also activate Radiant Respins feature, where a winning combination of three symbols respins reel 4 and the combination of four symbols respins reel 5. The jackpot one can win in Star Dust is 200,000 coins, with $0.40 to $400 betting range and 96-97% RTP. There will be no spectacular surprises and visual effects in this game, however, the simplicity and the retro vibe give this slot a certain charm, earning Star Dust the place on this list. Launched by Big Time Gaming, Starquest tells us a story about a female space traveller, visually uniting the modern design and classic arcade elements. With 117, 649 win way structure, the game has some really interesting special features, such as Full Reel Wild and Multiple Full Reel Wilds. Once triggered, Full Reel Wild can multiply winning combinations while Multiple Full Reel Wilds multiply each other within the same winning combo. Full Reel Wild also unlocks an extra spin; if during the free spin a new Full Reel Wild lands, the multiplier will be even further increased. Due to the multiplying potential of Starquest (up to 1000x), the total payout can reach $120,000 with a betting range of $0.20 to $20, giving you pretty much everything you need in one game – adventure, excitement and a rather decent winning potential. Gotta love Robotnik! The slot is developed by Yggdrasil and features Re-Spin Sticky Wilds, Random Wilds and 60,000 coins jackpot. Robotnik has two main Wild symbols, regular and Wild x3, which acts both as a symbol substitute and a multiplier. Every now and then, the star of the show, Robotnik, will appear on the reels during or after a spin, transforming other symbols into Wilds and increasing your winning chances. The game structure is pretty standard – 5 reels and 40 paylines with $0.40 to $20 bet range, but what does make Robotnik truly playable is charming design, low risk and great payout potential (96.7% RTP). You are not likely to find a list of popular slots without this name. Starburst is launched by NetEnt and can hardly be described as revolutionary – still, there is something extraordinary appealing about this game. We bet that it is the mix of great graphics and 50,000 coins jackpot but we could be wrong, since a lot of slots out there offer the same perks. Whatever it is, Starburst found its way to pretty much every online casino and captured the hearts of many players; just goes to show you how a slot can go a long way even if not packed with over the top bonuses and visual effects.